The Kidd is a good warship, at removing planes from air"
"If there's a man who knows a ship, then Jingles it be him"
I have to tell you I love writing and I love writing poems I'm impressed with some of the song parodies really clever . I never went to college which is one of my big regrets I wish I had gone to school for writing or journalism . I think I could have been good . Any way I enjoy your writing keep it coming I'm going to give it a shot soon and put it out there on the forum . Thanks. I think a lot of why I seem to be able to come up with lyrics stems from the fact that, growing up, we only got a rock radio station in the middle of the night and thus I'd only hear songs that I liked on rare occasions, and never long enough to actually learn the lyrics. Therefore, I just made up my own lyrics. Coming up with song parodies is now a fun game. My brother-in-law is a mid-level country singer and he oftentimes entertains people by coming up with songs about them on the fly. 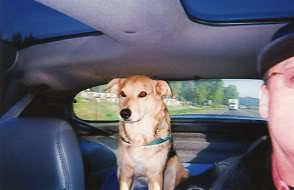 On the drive home from work I would sometimes sing to my dog Kelly. One of her favorites was Southern Man by Neil Young.